The Prime Minister's model of economic growth has come under burning criticism from one of his own ministers who says it is one of the factors responsible for the spread of Maoist insurgency. Tribal Affairs Minister V. Kishore Chandra Deo has hit out at what he alleges is the increasing propensity within a section of the government to justify pervasive industrialisation as a step necessary to achieve a high growth rate. 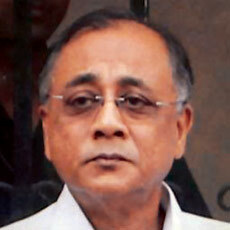 "The Prime Minister has said many times that the UPA is for inclusive growth. (But) What does inclusive mean? Pushing up your growth rate targets by making 10 billionaires at the expense of 10 million starving, impoverished tribals...by exposing them to diseases and depriving them further?" stormed the minister who is known to be a close aide of Sonia Gandhi. "I am against the growth of a crony capitalistic society at the expense of the most exploited and deprived," Deo, a tribal himself, added, warning the authorities against treating the issue of Maoism as a "mere law and order problem". Deo has been a staunch advocate of banning mining activities in tribal areas, even if it means a lower growth-rate figure. 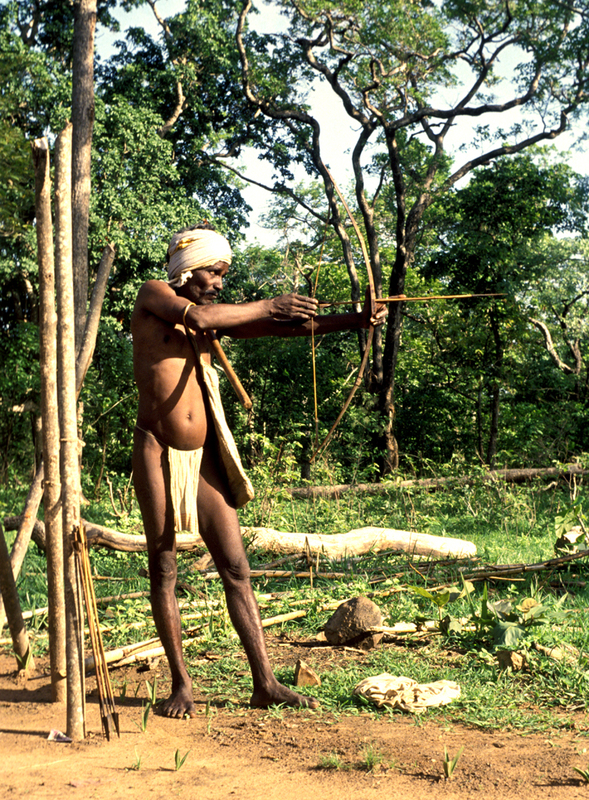 But this argument has been countered by several senior UPA ministers, who criticise the restrictions on development in key mineral-rich tribal and forest areas saying such an approach would prove detrimental to the country's growth rate. Without naming anyone, Deo came down heavily on the proponents of this argument, insisting that his stand was a "constitutional one". "I don't know about them but I have taken oath on the Indian Constitution - first as a MP and then a minister - and I stand by its principles," Deo said. "If they (leaders within and outside the government) have taken some other oath, I don't know. Otherwise, they too should take the same constitutional stand," he added, in a veiled attack on Planning Commission deputy chairman Montek Singh Ahluwalia. Ahluwalia has often been criticised for his "fetish" for economic liberalisation. Deo's outburst is symbolic of a growing sentiment among some Congress leaders that the government's capitalist policies were alienating their aam admi flank and would neutralise the gains of their pro-poor poll sops. Talking about efforts to weed out Maoism, Deo said the government will soon get a first-of-its-kind accountability Bill that will track every penny of the thousands of crores of rupees allocated each year under various welfare and social sector schemes for Scheduled Tribes and other weaker sections. The legislation is being jointly worked out by the Union ministry for tribal affairs and the ministry for social justice and empowerment. "At present, our ministries don't have any idea about how the funds are utilised. This legislation will ensure accountability," Deo said. 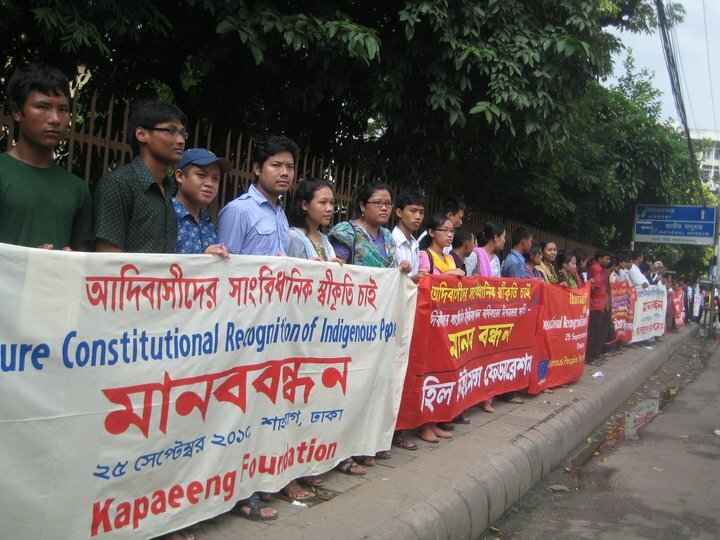 On 19 March 2011 indigenous peoples of Bangladesh organised human chain across the country demanding constitutional recognition as indigenous peoples. Human chains were formed at least 16 places through the country including Rangamati, Khagrachari and Bandarban districts in Chittagong Hill Tracts (CHT) region; Joypurhat, Dinajpur, Naogaon, Sirajganj, Thakurgaon, Rajshahi and Bagura districts in North Bengal region; Barguna and Patualhali districts in coastal region; Sylhet, Moulabi Bazaar and Mymensingh districts and other parts of the country where indigenous people live. The leaders of the country's indigenous communities called upon the government to seriously consider the issue of constitutional recognition as indigenous instead of small ethnic group; otherwise, the process of amendment of constitution will remain incomplete. Bangladesh Adivasi Forum organised human chain in front of the National Museum in Dhaka where a number of organisations, including Kapaeeng Foundation, CHT Hill Students' Council (PCP), Bangladesh Adivasi Chhatra Sangram Parishad, Hill Women's Federation (HWF), Tripura Students Forum (TSF), Bangladesh Adivasi Odhikar Andolon and national level rights organisations took part in the human chain. On the others, CHT Citizens’ Committee and Bangladesh Adivasi Forum (CHT Chapter) formed human chains in three hill districts of CHT where M N Larma Memorial Foundation, Jum Aesthetics Council, Bangladesh Mahila Parishad, Marma Oikya Parishad and local CBOs and development organisations took part. Human chains in North Bengal region were formed basically by Jatiya Adivasi Parishad while Rakhain Samaj Kalyan Samity, Bangladesh Adivasi Forum (local chapter) and Bangladesh Rakhain Students Association in coastal region. Human chain was formed in Sylhet in the banner of all walk of indigenous peoples while at in front of Moulvibazar Press Club by Greater Sylhet Adivasi Forum, Tea Garden’s Adivasi Forum, Monipuri Social Welfare Association, Khasi Council and Khasi Student Union. Thousands of indigenous peoples, political leaders, journalists, lawyers, university teachers, human rights defenders, indigenous rights activists, women rights activists had joined the human chains and rallies, raising their voices for the constitutional recognition of indigenous people of Bangladesh. Expressing dissatisfaction at the recent speech of Co-chairman of Special Parliamentary Committee for Constitution Amendment (SPCCA) Suranjit Sengupta, MP, indigenous leaders accused him of not being aware about the proper definition of indigenous in the country's context. They said, the rights of the indigenous communities should be recognised incorporating their rights in the Constitution as indigenous peoples but not as small ethnic group. Speakers at the human chain said ‘Adivashi’ word does not only mean who comes first in the land rather it means the communities who posses distinct identity from the mainstream. The ethnic communities hold different culture, history, heritages, land related culture and a tendency to solve their social and legal problems by their customary laws rather than the statutory laws. Speakers pointed out the existing laws including the State Acquisition and Tenancy Act 1950, The Chittagong Hill Tracts Regulation 1900, The Finance Act 1995 where the ‘Adivashi’ term had been used. The speakers also pointed out the election mandate of the present ruling party and the constitution of the Awami league where the ‘Adivashi’ term also has been used. The indigenous leaders demanded rights of the indigenous people with separate traditional socio-cultural-ethnic identity for their survival in different regions Bangladesh and full implementation of CHT Accord 1997. It is mentionable that on 15 March 2011 after a meeting of the parliamentary special committee for constitutional amendment, its co-chairman Suranjit Sengupta said that the committee agreed to recognise the ethnic minority groups (Khudro Jonogosthi) in the constitution, although no minority community will be recognised as indigenous (Adibashi) people. He said as the demand for recognising them as indigenous people could not be applicable in the context of Bangladesh, so it was more logical to recognise them as Bangladeshi, not indigenous. ‘The definition of indigenous people given by the ILO has no consistency with the situation in Bangladesh,’ said Suranjit, adding that it could be applicable for some countries like Australia where indigenous people were ousted from state power by others. The indigenous leaders also condemned the comment of opposition leader Begum Khaleda Zia in parliament on March 15 narrating indigenous leader Bangladesh Adibasi Forum president Sree Joytirindra Bodhipriya Larma (Santu Larma) as ‘terrorist’. The indigenous leaders said that comment from a former prime minister and opposition leader was unexpected and unacceptable as communal and provocative and should be withdrawn. “The Environment Impact Assessment (EIA) in the current form is a bit of a joke as it is self-assessment by the company. Instead, we will have a third party EIA,” Mr Jairam Ramesh, Minister for Environment and Forests, said. “We have blacklisted three consultants for their wrong reports. Therefore, we would prefer a third party EIA for power, coal and multi-sector projects. The MoEF will seek third party assessment. The present system is deeply flawed,” he said. Mentioning the clearance accorded to the Posco project in Orissa and the proposed nuclear plant at Jaitapur in Maharashtra, the Minister said both the clearances are conditional. In the case of nuclear power plant, third party assessment was done by NEERI and they have been directed to conform to at least 35 conditions. The satellite imagery assessment of costal areas of four States where a large number of projects are coming up, including ports and power, will be concluded within two months, he said. The Ministry had initiated a project to assess the impact of projects coming up along the coast in Gujarat, Orissa, Tamil Nadu and Andhra Pradesh. “We have completed work on three States and Andhra Pradesh is expected to be covered within two months. This impact assessment study will enable us to estimate the degradation and sensitivity along some of the coastal areas of these States,” Mr. Ramesh said. Mr Ramesh said this imagery will facilitate a comprehensive environment analysis and ensure the preservation of precious natural resources in coastal areas. “We now have a new Costal Regulation Zone (CRZ) 2011 notified on June 6. This has to be complied with,” he explained. Referring to the two AP power projects at Sompeta of (NCC Ltd) and Kakrapalli (East Coast Energy), he said they have been served notice. “I must admit the recent firing incident did move me. I have begun to grapple with the next moves,” he said. The Supreme Court decision on the Ministry stand on Nirma's cement plant in Gujarat has been vindicated. Andhra Pradesh is yet to conduct public hearing for Polavaram wherein villages in Chhattisgarh and Orissa will get submerged. The State has, however, agreed to construct a 30-km long wall along Sabari and Sileru rivers. The clearance for Polavaram was conditional. The State Government was told to handle relief and rehabilitation simultaneously. Unless they take up public hearing it would be difficult to take this forward, he said. 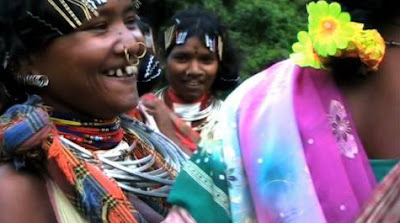 This film is a call for tribal solidarity. It reveals the approaching trauma of two lakh tribals who will be displaced under the Polavaram Dam Project on river Godavari in Andhra Pradesh, India. The project is estimated to submerge four hundred villages and four thousand hectres of forest in Dandakaranya. Large-scale projects often created islands of development in the midst of under-development perpetuating regional imbalances. Past experiences have shown that development paradigms are often discriminatory against the tribal communities and other marginalized sections of society. Development is meaningful only when it is sustainable. India needs an alternative way of development which combines traditional methods with environmentally sustainable technologies. Only then will it be able to sustain its diverse cultures and promote the welfare of the tribals. The current situation is very disturbing in Telangana region. Many of you are aware that large scale destruction is going on Telangana. Now it is difficult to say who is our immediate foe. Today’s news is really shocking for many of us that the world’s richest diamond company DEBERS has entered into our Nallamala forest (TV 9 has shown exclusive story on it), Mahabubnagar and Kurnool region. This company has ruined, squeezed entire Diamond zones of Africa. They destroyed several regions in the world and now they had an MOU with AP Govt. For some time we have been hearing that Chenchus are asked to move out of forests. It was for Wildlife, some said while others said it is to remove Maoists and finally it is the foreign draconian company. Sadly, we are not bothered about our tribal people like Koya, Konda Reddis, Chenchus and Gonds. Chenchus are known as PTGs (Primitive Tribal Groups). History says our language Telugu is originated from them. The Koya tribe in entire Bhadrachalam, Khammam district is going to disappear if the Polavaram project continues. We have already seen the Granite, open cast mining in Warangal, Khammam and Adilabad. Officially more than 500 granite mining permissions were given in Karimnagar alone. There is a struggle against these issues. This ethnographic documentary deals with the socio-economic and religious life of the Chenchus, a Telugu speaking hunting and gathering tribe living in the Nallamalai forests of Andhra Pradesh, India. 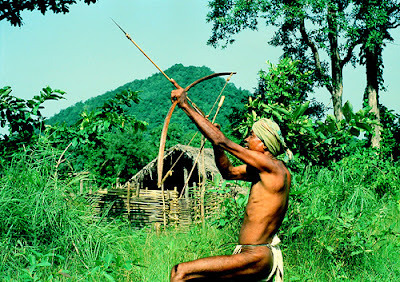 They are a conservative tribal group and have not made many changes in their lifestyle or tried to adapt to modernity. They live in the enclosed space and geography leading a life of an unbroken continuity. Kalahandi (Orissa), Aug 25 (ANI): Locals of Orissa’s Kalahandi district expressed their happiness on Wednesday after the Union Environment Ministry rejected plans of India-focused miner Vedanta Resources Plc to go ahead with bauxite mining in the state. 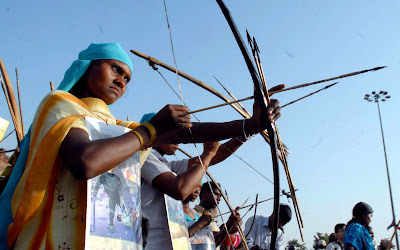 Tribals professed themselves delighted with the decision of Union Environment Minister Jairam Ramesh. “We are very delighted with the announcement made by Jairam Ramesh over rejection of plans for bauxite mining in the state. Niyamgiri Hills are our mother and we cannot destroy them. If the government will change their decision now, then we will protest again and we will not vote. As the mining has been closed, the factory should be removed from here as well,” said Kumiti Majhi, a resident of Kalahandi. 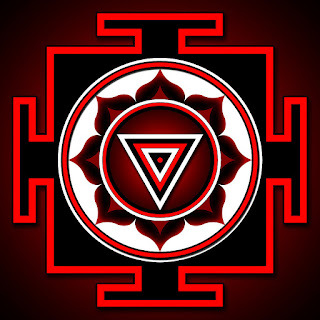 They added that for a long time they were not even able to cultivate their lands due to pollution from the Vedanta building, and welcomed the change. “Our Niyamgiri Bachao Suraksha Abhiyan is a success now, and we are very happy for it. 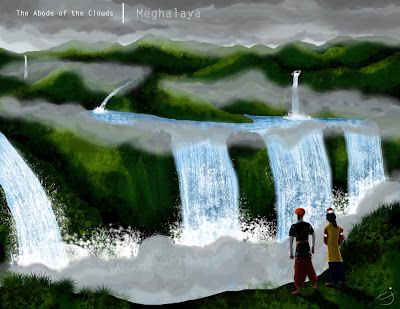 It is a winning moment for the jungle, water, and land of the tribals. After the company was set up here, we were not able to cultivate our land properly because of pollution. We will now start cultivating our land,” said Purna Naik, another resident of Kalahandi. Environment Ministry on Tuesday rejected the plans of mining group Vedanta Resources Plc to mine bauxite in Orissa, saying that it violated forest laws. The Environment Ministry’s decision came after a government panel said last week that giving permission to Vedanta would violate green guidelines, and may have a serious impact on security, in a reference to worsening Maoist insurgency that feeds partly off the resentment of people displaced by large industrial projects. Vedanta, on its part, had said that no one will be displaced as the mining site is located in an uninhabited area, and the project would economically aid the poor district. In the third major blow to Vedanta in a month, the Chief Secretary of the Indian state of Odisha (formerly Orissa) has ordered a new investigation into the rights of the Dongria Kondh tribe affected by Vedanta Resources’ controversial bauxite mine. The announcement comes just two weeks after the Indian Minister of Environment and Forests ordered an investigation on the same topic, and ten days after leading Dutch investment firm PGGM sold its stake in the company over human rights concerns. A government investigation published in March concluded that Vedanta’s mine ‘may lead to the destruction of the Dongria Kondh [as a people]’. Under Indian law the Dongria Kondh can claim communal rights over the forest land they have historically used or protected. Vedanta has been attempting to mine the top of the Dongria’s sacred mountain for several years, but has not received the final clearance it needs to begin. Last year the Environment Minister said Vedanta’s mine would not receive clearance until the Dongria’s forest rights had been settled. When Survival visited the Dongria in December, it was clear that many of them were not even aware of their right to claim communal land. Vedanta Resources is majority owned by billionaire Anil Agarwal, who will have to address shareholders’ concerns about these delays at the company’s AGM in London on the 28th July. It has been called the world’s second “oil war,” but the only similarity between Iraq and events in the jungles of northern Peru over the last few weeks has been the mismatch of force. On one side have been the police armed with automatic weapons, tear gas, helicopter gunships and armored cars. On the other are several thousand Awajun and Wambis natives, many of them in war paint and armed with bows and arrows and spears. In some of the worst violence seen in Peru in 20 years, the natives this week warned Latin America what could happen if companies are given free access to the Amazonian forests to exploit an estimated 6 billion barrels of oil and take as much timber they like. After months of peaceful protests, the police were ordered to use force to remove a road bock near Bagua Grande. On Friday, as riot police broke up more demonstrations in Lima and a curfew was imposed on many Peruvian Amazonian towns, Peruvian President Alan Garcia backed down in the face of condemnation of the massacre. He suspended — but only for three months — the laws that would allow the forest to be exploited. No one doubts the clashes will continue. Peru is just one of many countries now in open conflict with its indigenous people over natural resources. Barely reported in the international press, there have been major protests around mines, oil, logging and mineral exploitation in Africa, Latin America, Asia and North America. Hydroelectric dams, biofuel plantations as well as coal, copper, gold and bauxite mines are all at the center of major land rights disputes. A massive military force continued this week to raid communities opposed to oil companies’ presence on the Niger delta. The delta, which provides 90 percent of Nigeria’s foreign earnings, has always been volatile, but guns have flooded in and security has deteriorated. In the last month a military taskforce has been sent in and helicopter gunships have shelled villages suspected of harboring militia. Thousands of people have fled. Activists from the Movement for the Emancipation of the Niger Delta have responded by killing 12 soldiers and this week set fire to a Chevron oil facility. 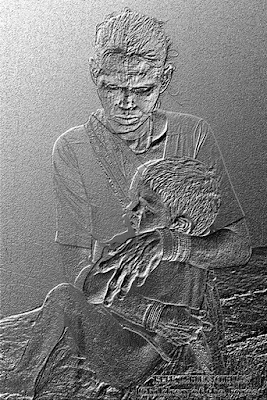 On Friday seven more civilians were shot by the military. The escalation of violence came in the week that Shell agreed to pay ￡9.7 million (US$15.9 million) to ethnic Ogoni families — whose homeland is in the delta — who had led a peaceful uprising against it and other oil companies in the 1990s, and who had taken the company to court in New York accusing it of complicity in writer Ken Saro-Wiwa’s execution in 1995. Meanwhile in West Papua, Indonesian forces protecting some of the world’s largest mines have been accused of human rights violations. Hundreds of tribesmen have been killed in the last few years in clashes between the army and people with bows and arrows. “An aggressive drive is taking place to extract the last remaining resources from indigenous territories,” says Victoria Tauli-Corpus, an indigenous Filipino and chair of the UN permanent forum on indigenous issues. “There is a crisis of human rights. 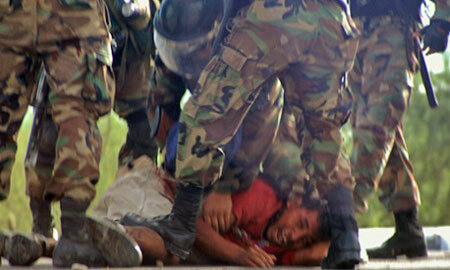 There are more and more arrests, killings and abuses. “This is happening in Russia, Canada, the Philippines, Cambodia, Mongolia, Nigeria, the Amazon, all over Latin America, Papua New Guinea and Africa. It is global. We are seeing a human rights emergency. A battle is taking place for natural resources everywhere. Much of the world’s natural capital — oil, gas, timber, minerals — lies on or beneath lands occupied by indigenous people,” Tauli-Corpus said. What until quite recently were isolated incidents of indigenous peoples in conflict with states and corporations are now becoming common as government-backed companies move deeper on to lands long ignored as unproductive or wild. As countries and the World Bank increase spending on major infrastructure projects to counter the economic crisis, the conflicts are expected to grow. Indigenous groups say large-scale mining is the most damaging. When new laws opened the Philippines up to international mining 10 years ago, companies flooded in and wreaked havoc in indigenous communities, says British Member of Parliament (MP) Clare Short, who is the former UK international development secretary and now chair of the UK-based Working Group on Mining in the Philippines. 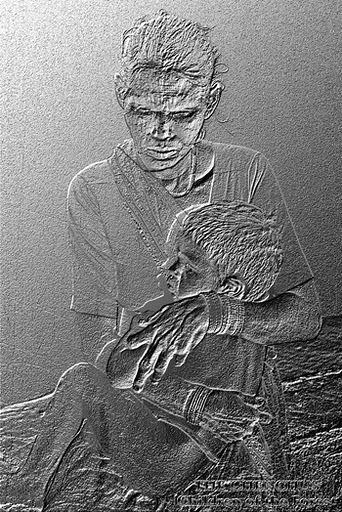 Short visited people affected by mining there in 2007. “I have never seen anything so systematically destructive. 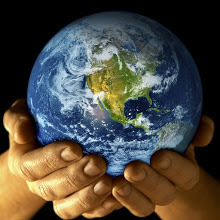 The environmental effects are catastrophic as are the effects on people’s livelihoods. They take the tops off mountains, which are holy, they destroy the water sources and make it impossible to farm,” she said. The arrival of dams, mining or oil spells cultural death for communities. 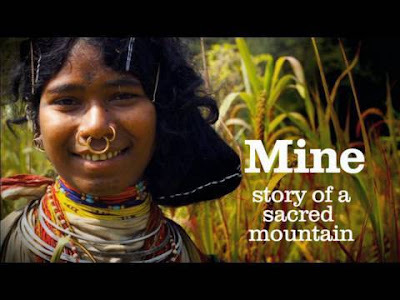 The Dongria Kondh in Orissa, eastern India, are certain that their way of life will be destroyed when British company Vedanta shortly starts legally to exploit their sacred Nyamgiri mountain for bauxite, the raw material for aluminum. The huge open cast mine will destroy a vast swath of untouched forest and will reduce the mountain to an industrial wasteland. More than 60 villages will be affected. Davi Yanomami, a shaman of the Yanomami, one of the largest but most isolated Brazilian indigenous groups, went to London last week to warn MPs that the Amazonian forests were being destroyed and to appeal for help to prevent his tribe from being wiped out. “History is repeating itself,” he told the MPs. “Twenty years ago many thousand gold miners flooded into Yanomami land and one in five of us died from the diseases and violence they brought. We were in danger of being exterminated then, but people in Europe persuaded the Brazilian government to act and they were removed. There is some hope, Tauli-Corpus said. “Indigenous peoples are now much more aware of their rights. They are challenging the companies and governments at every point,” he said. In Ecuador, Chevron may be fined billions of dollars in the next few months if an epic court case goes against them. The company is accused of dumping, in the 1970s and 1980s, more than 72 billion liters of toxic waste and millions of liters of crude oil into waste pits in the forests, leading to more than 1,400 cancer deaths and devastation of indigenous communities. The pits are said to be still there, mixing chemicals with groundwater and killing fish and wildlife. The Ecuadorian courts have set damages at US$27 billion. Chevron, which inherited the case when it bought Texaco, does not deny the original spills, but says the damage was cleaned up. Back in the Niger delta, Shell was ordered to pay US$1.5 billion to the Ijaw people in 2006 — though the company has so far escaped paying the fines. After settling with Ogoni families in New York this week, it now faces a second class action suit in New York over alleged human rights abuses and a further case in Holland brought by Niger Delta villagers working with Dutch groups. Meanwhile, Exxon Mobil is being sued by Indonesian indigenous villagers who claim their guards committed human rights violations, and there are dozens of outstanding cases against other companies operating in the Niger Delta. Indigenous leaders want an immediate cessation to mining on their lands. Last month, a conference on mining and indigenous peoples in Manila called on governments to appoint an ombudsman or an international court system to handle indigenous peoples’ complaints. 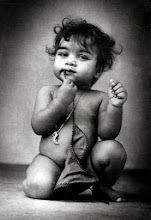 “Most indigenous peoples barely have resources to ensure their basic survival, much less to bring their cases to court. Members of the judiciary in many countries are bribed by corporations and are threatened or killed if they rule in favor of indigenous peoples. States have an obligation to provide them with better access to justice and maintain an independent judiciary,” the declaration said. But as the complaints grow, so does the chance that peaceful protests will grow into intractable conflicts as they have in Nigeria, West Papua and now Peru.